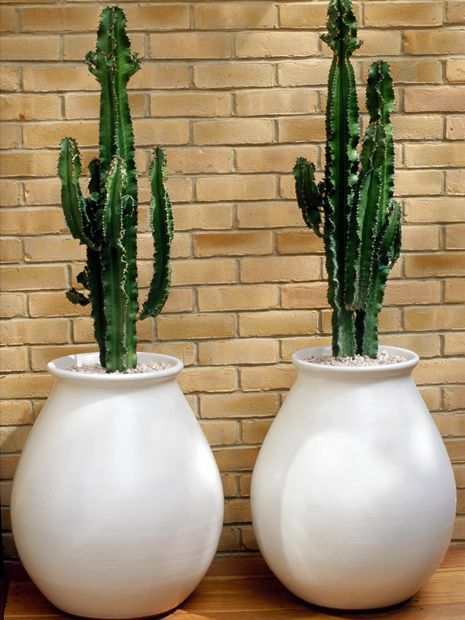 From the suitable to desirable, tailor-made to off-the-shelf, ultra modern or timelessly memorable, the garden styles which originate fresh outdoor trends define a complex process indeed, propelled by ceaselessly advancing technologies, while ably compounded by sheer design virtuosity and unique personal style. Whether mastering the undulations of an epic landscape, or tweaking a pocket-sized garden, our impromptu gestures and hands-on experimentations often yield unexpected results with artistic flair and conviction. 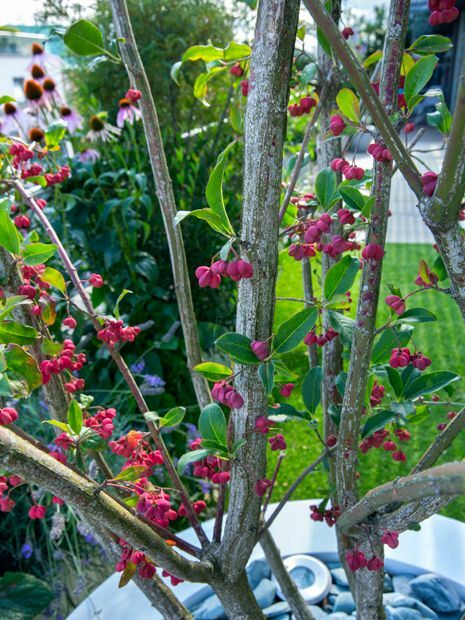 These one-of-a-kinds eureka moments invariably galvanise the mainstream, recycled within myriads of picture-perfect, scaled-down, refined versions, and no matter how intentional or spontaneous our creations may be, their exclusivity is rather fleeting, while the very next trend is taking shape just around the corner, somewhere, in a bespoke garden near you! 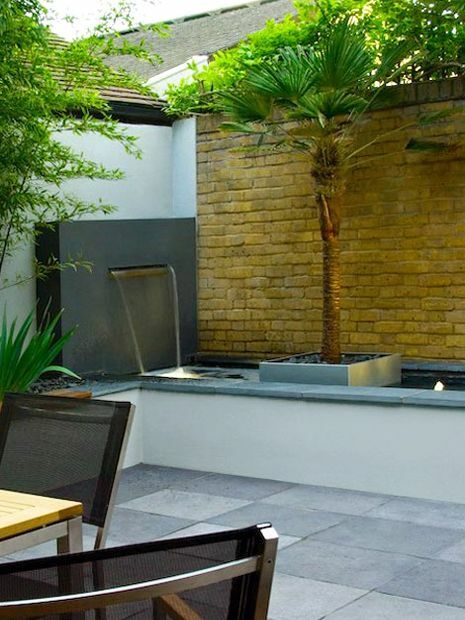 Style: a contemporary town garden in Clapham Town with modernist elements. 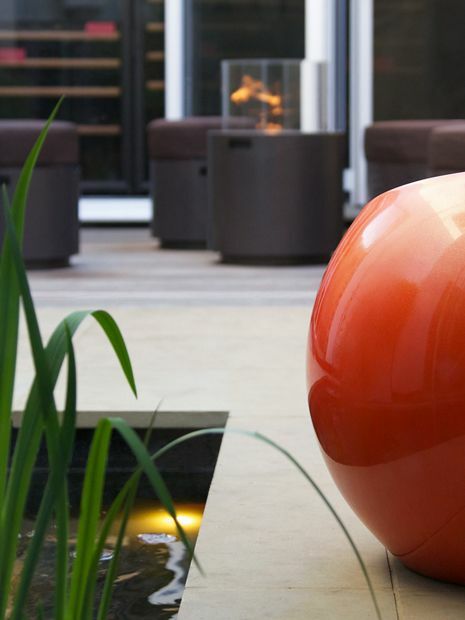 Design: two seating areas, each with a further functional zone – a dining space opposite a chill-out lounge. 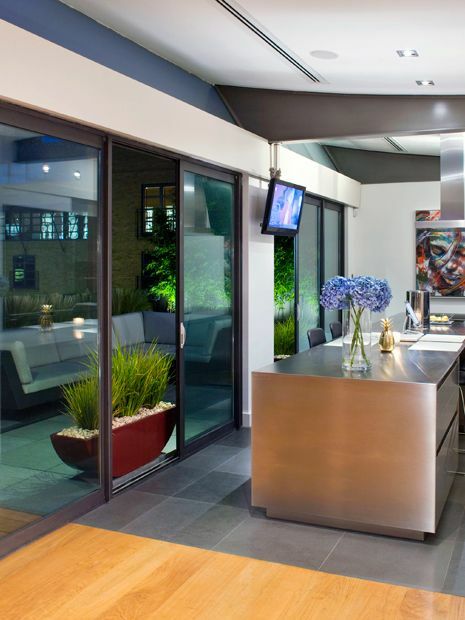 Features: outdoor fire oven, waterfall rill, sculpture wall, bold colour, bar and storage. 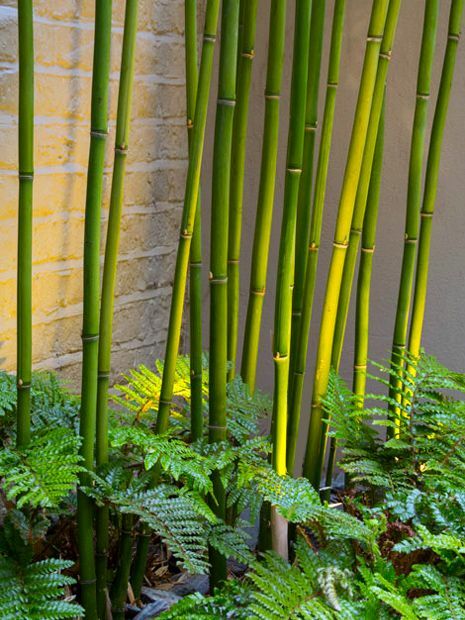 Planting: raised beds with north and south microclimates featuring a Tibetan Cherry, yellow and black Bamboo, Tree ferns, Horsetails in bespoke tall vases, Sweet flags, Mexican lilies, Chinese wild ginger, Eastern redbud, Japanese maple, Water lilies and a Silverbell tree. 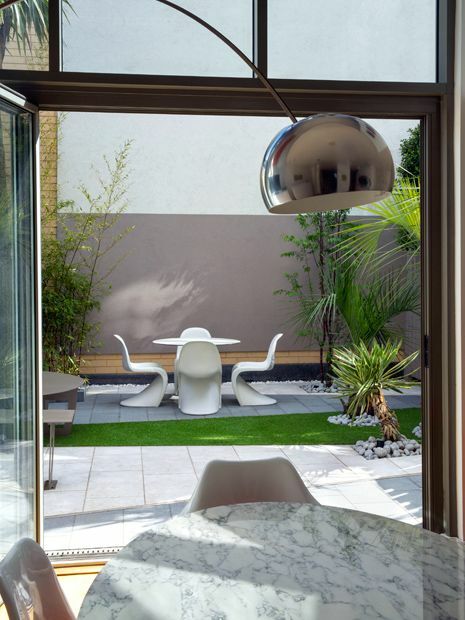 Style: a contemporary city garden in Highbury with Mid-century Modern elements. 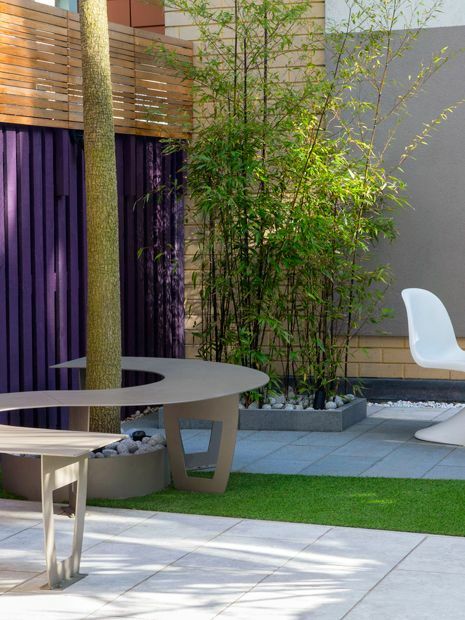 Design: two informal seating hubs – a west-facing sinuous bench with artificial grass and a small dining zone traversing limestone and granite paving. 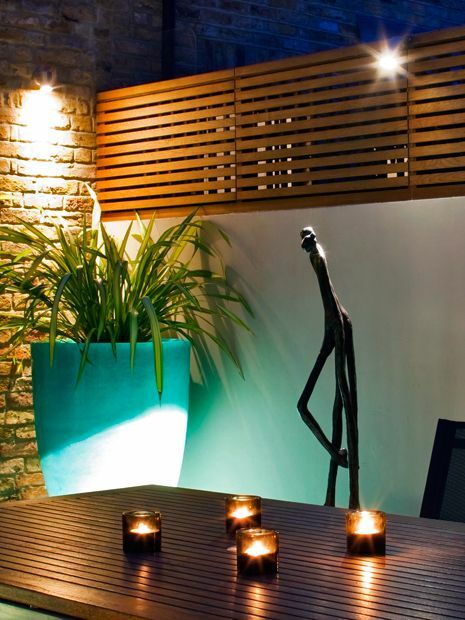 Features: vibrant colours, custom-built Cedar screens, one-off planters, embedded LED strip lighting in the paving. 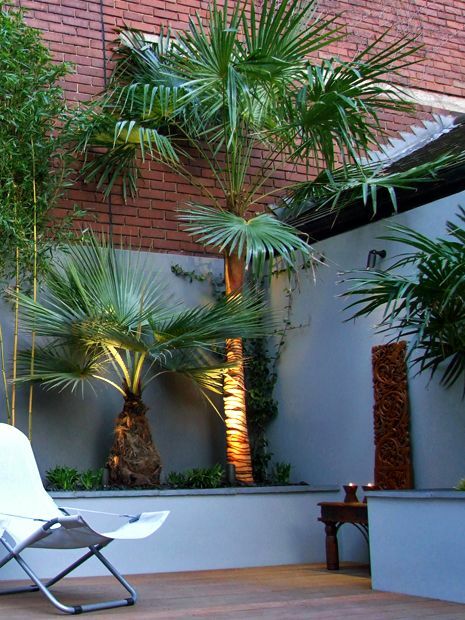 Planting: Tibetan Cherry, black Bamboo, Jelly and Cabbage palm trees, Bar room plants, Star jasmine, Libertia ‘Goldfinger’. 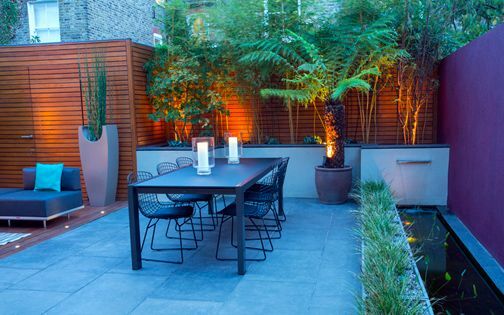 Style: a contemporary urban courtyard garden in Fulham. Design: two seating spots with a formal dining area and a built-in corner bench. 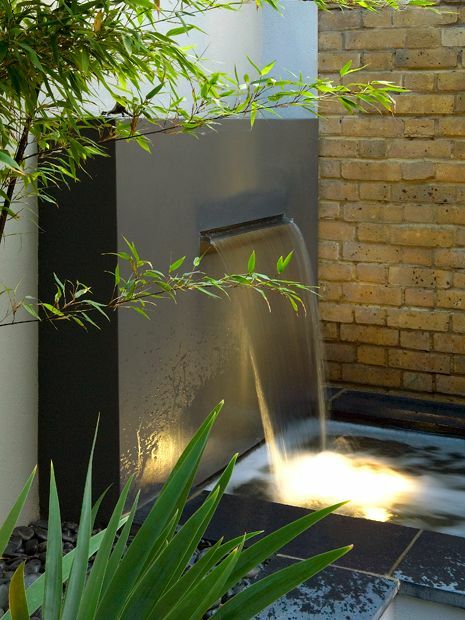 Features: granite waterfall as a central focal point, hardwood decking, porcelain tiles, Cedar privacy panels, sculpture and lighting. 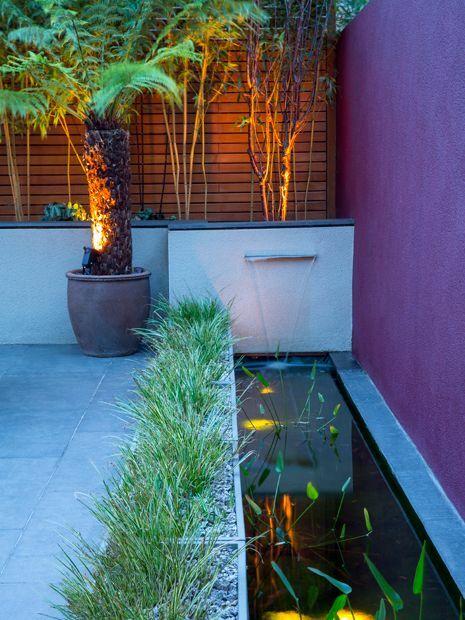 Planting: Japanese maple, Paperbush, Bamboo, Phormiums in pots and ground-cover sedges, contrasted by Desert Willow and Mexican lilies. 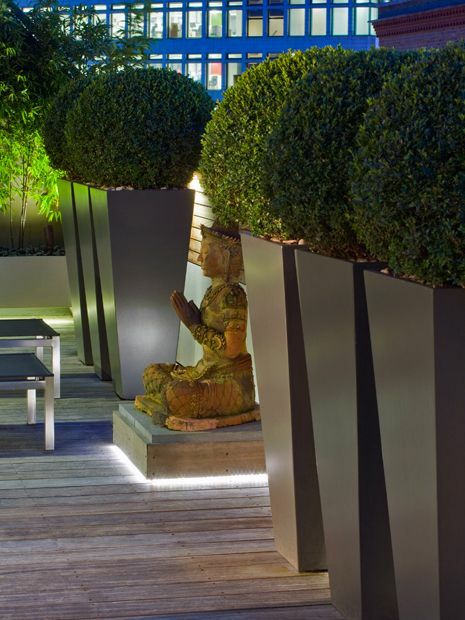 Style: three contemporary wildlife gardens, integrated into rooftop terraces in Hampstead, Clerkenwell and St Katharine Docks. 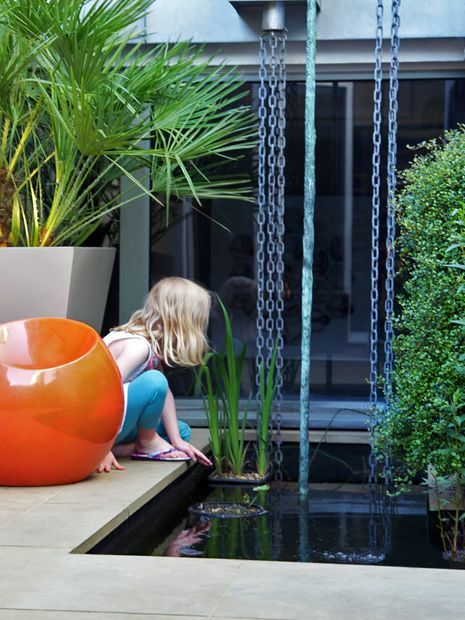 Design: definitively architectural outdoor spaces, centred around ecological cycles, seasonality and wildlife. 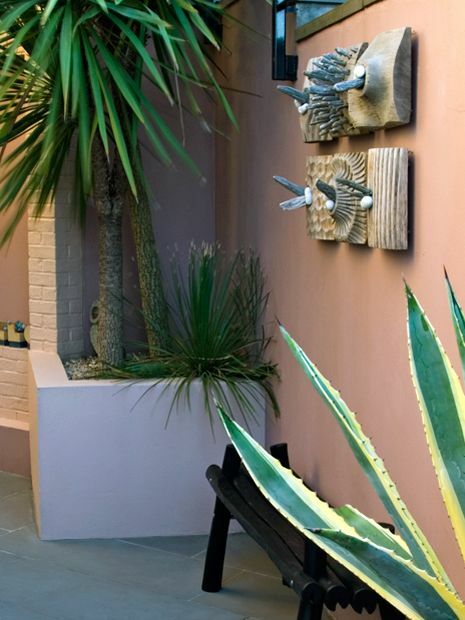 Features: native trees in customised planters, a broad flora spectrum, wildlife habitats, kitchen and herb gardens, augmented by very low maintenance surfaces. 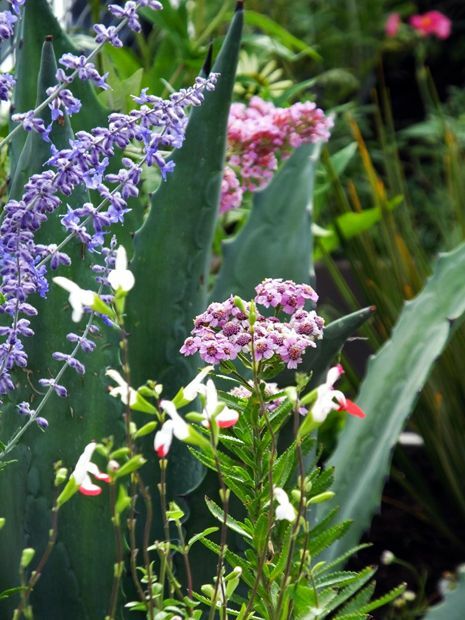 Planting: Alder Buckthorn, Dogwood, Hawthorn, Spindle and Pine trees, Foxglove, Sea pink, Teasel and Yarrow, combined with Agapanthus, Coneflower and Poppy, contrasted by architectural Mexican succulents. 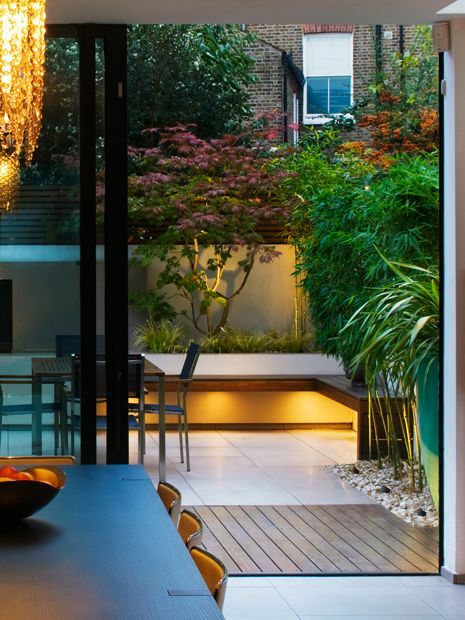 Style: three modern courtyard gardens in diverse settings – a small Belgravia town garden highlighting Japanese woodland flora, a large Wandsworth garden presenting architectural accents and a Sandbanks courtyard fusing contemporary materials with ancient stone. 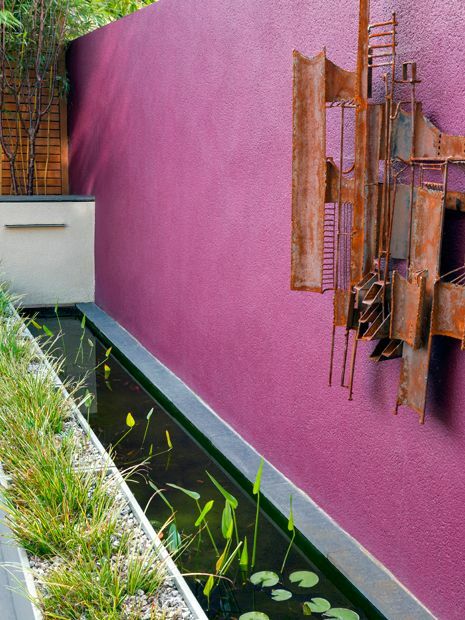 Design: textured walls, smooth surfaces and colour contrast. 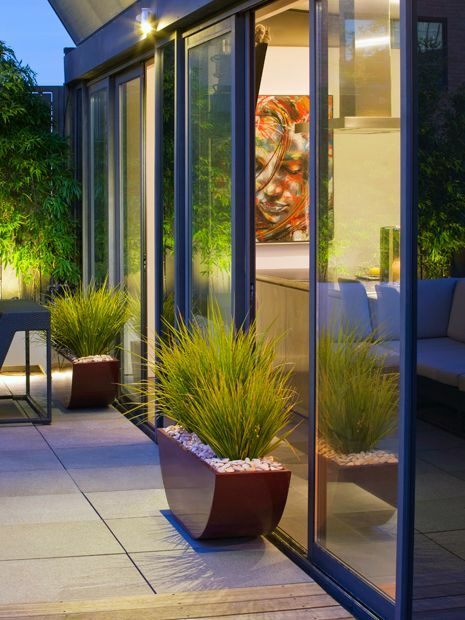 Features: level changes, low maintenance potted plants with sculptural succulents and outdoor lighting. 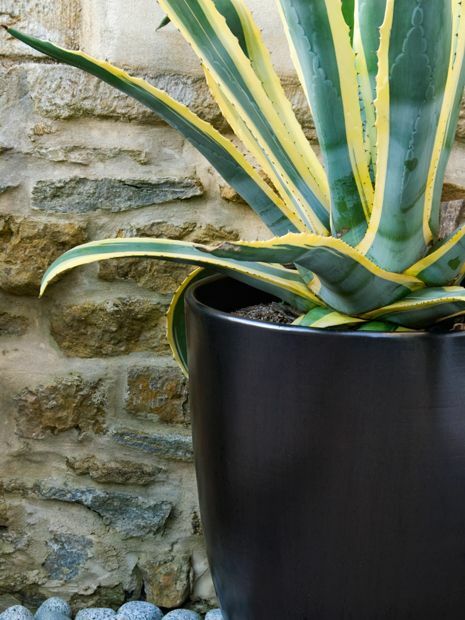 Planting: Temple bamboo, Japanese maples and Ferns, Euphorbia cacti, variegated Agave, Butia, Cordyline, Dasylirion. 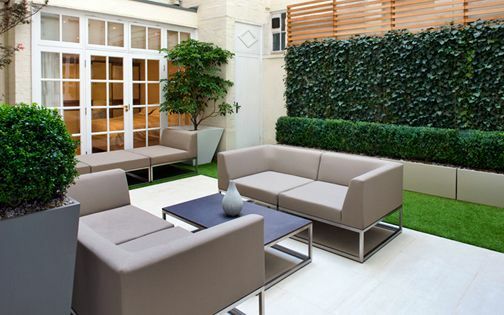 Style: a contemporary shade courtyard garden in Mayfair, Central London, with minimalist topiary and hedging. 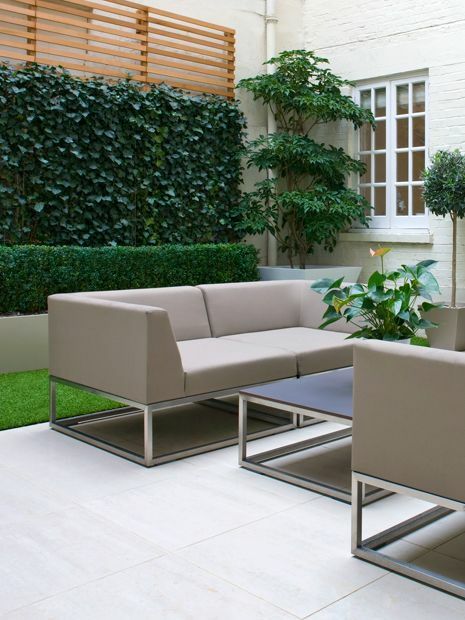 Design: a central seating area surrounded by luxuriant foliage, light tiles and bespoke planters. Features: low maintenance elements including an artificial grass play area, porcelain tiled patio, heating, lighting and irrigation. 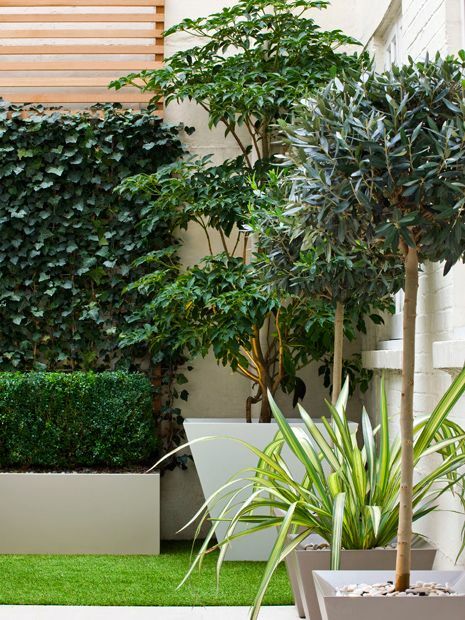 Planting: two matching Japanese Wheel trees, Sweet flags, Box hedges and spheres, an Ivy green wall, evergreen Ferns, deciduous Maples. 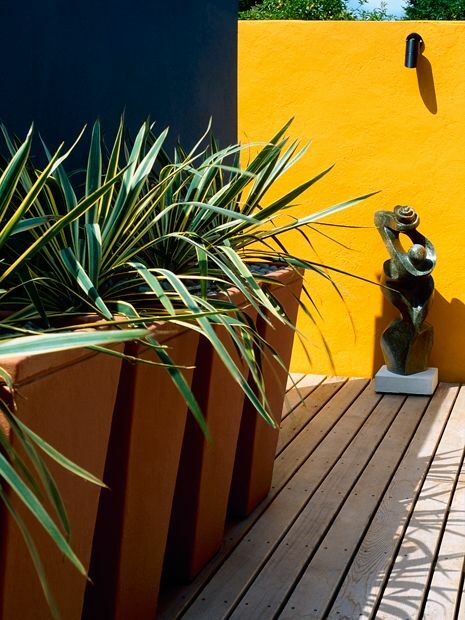 Style: a trio of small contemporary courtyard gardens with modernist elements focusing on art, daring colours, sculpture and dramatic light interplays. 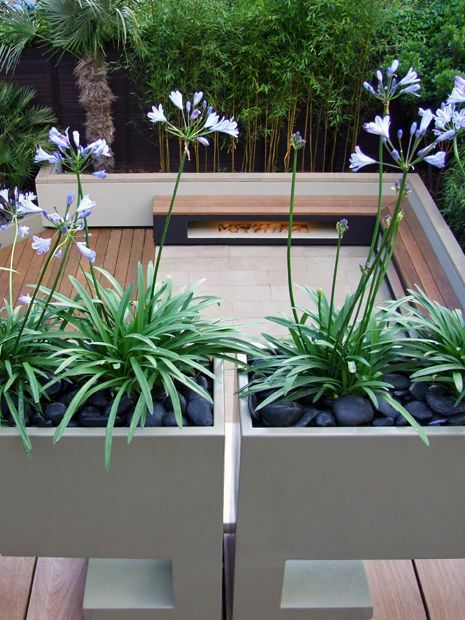 Design: built-in raised beds contrasted by powder-coated bespoke containers, vertical use of space, well-defined architectural spatiality, expanding sight lines, minimalist detail. Features: Cedar, glass and concrete structures, soothing aquatic essence, diversified seating. 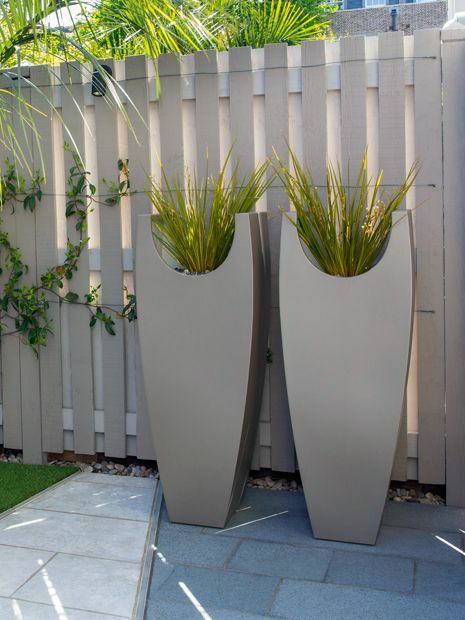 Planting: Yucca, Palm trees, Irises, evergreen ground-cover species, Lavenders, Sempervivum, native and worldwide grasses. 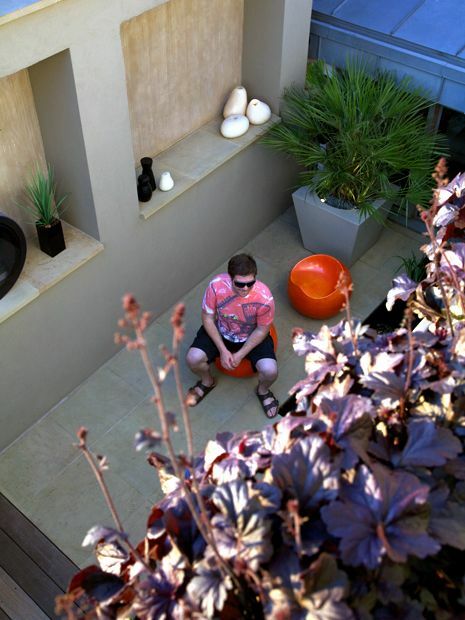 Style: a minimalist patio garden in Battersea for an art connoisseur. Design: two distinct outdoor spaces extended into further utilitarian zones, with materials analogous to an ultra modern interior. 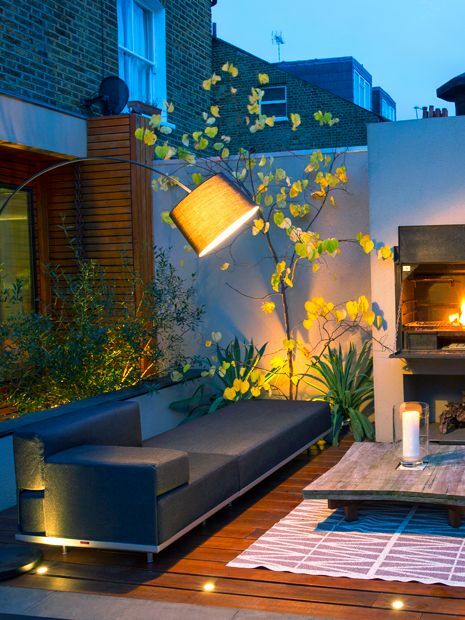 Features: fish pond, outdoor wine pantry, sculpture wall, fire features, bespoke troughs, hardwood deck, smooth sandstone paving. 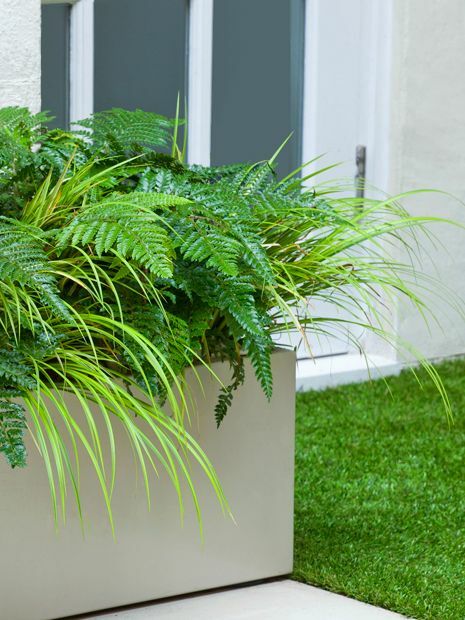 Planting: Lacy wire vine, European fan palm, purple Coral bells, mixed water plants. 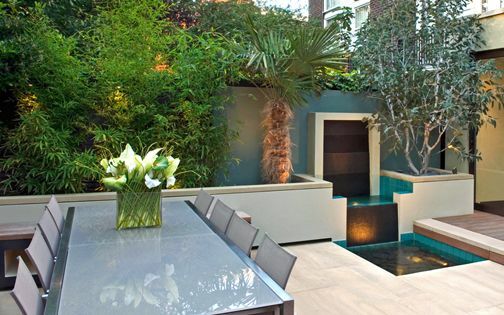 Style: an exotic courtyard garden in Hampstead fusing water, natural materials and subtropical foliage. 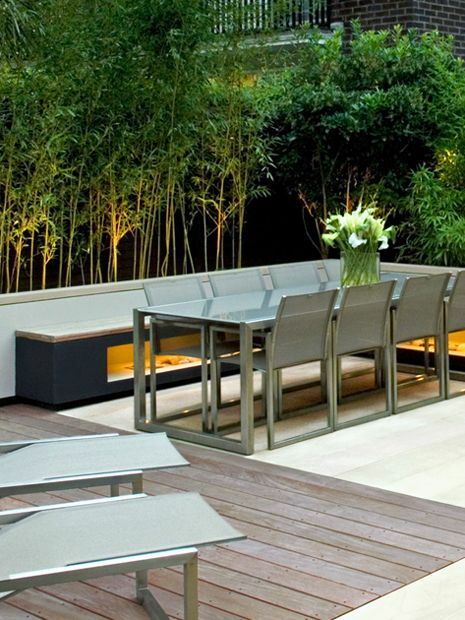 Design: three outdoor seating areas including dining, informal perching and an ornamental pool. 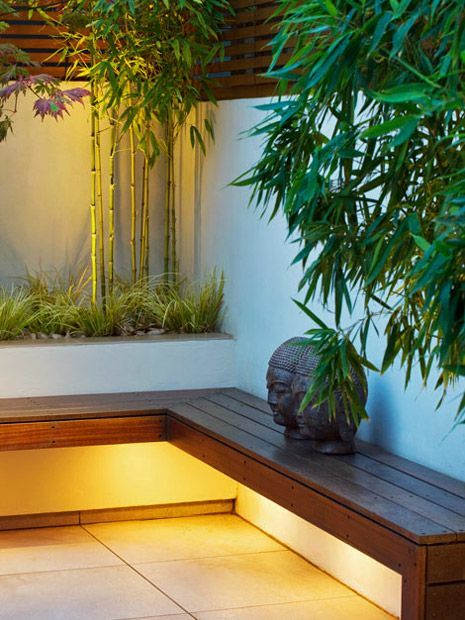 Features: a floating Palm tree by a waterfall chute, triangulation of architectural trees, Ipe hardwood deck, grey limestone, multifunctional raised beds. 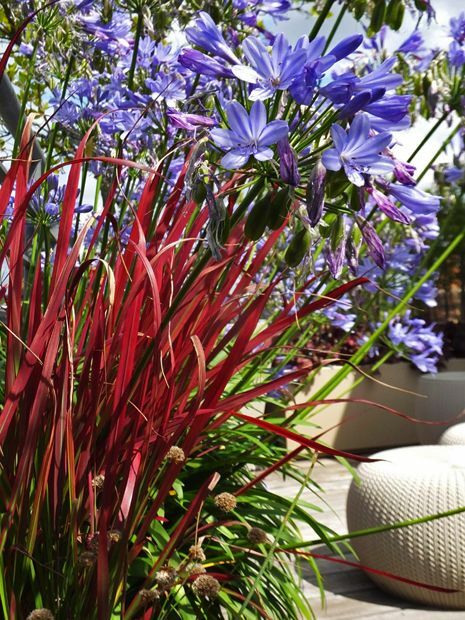 Planting: Star jasmine climbers, Daylilies, Irises, Yellow groove and Black bamboo, Japanese maple, Mexican lilies and Blue palms. 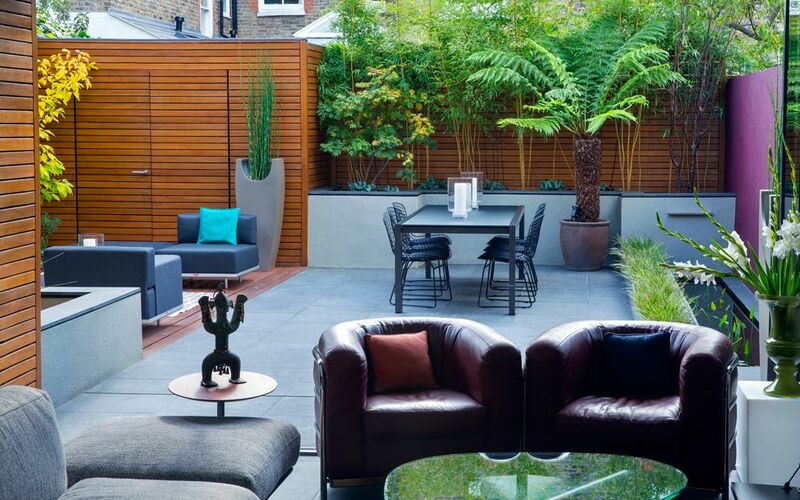 Style: a contemporary family garden in Regent's Park as the focal point of an end-of-terrace townhouse. 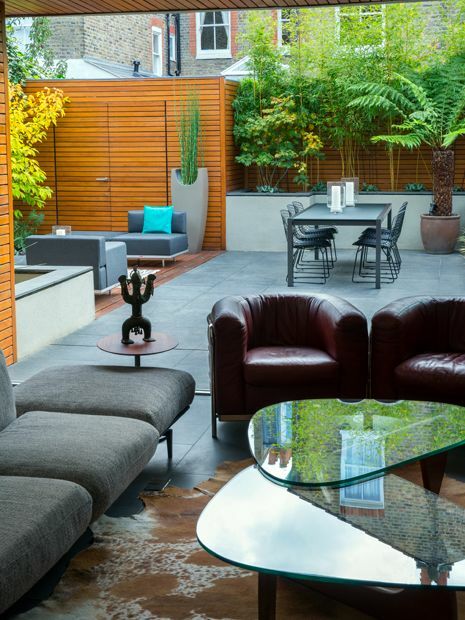 Design: four distinct outdoor areas, including a further roof terrace and front garden. 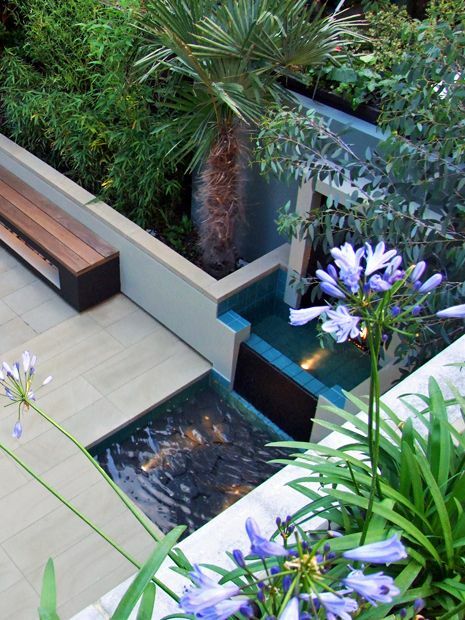 Features: two-tiered bespoke granite waterfall with a reflecting pool, unique aperture benches, customised sandstone pavers, Ipe hardwood deck, curved, floating and recessed planting beds. Planting: Silver birch, Japanese maple, Eucalyptus, Palm and Strawberry trees, Agapanthus, Ferns, Yellow groove bamboo and New Zealand flax cultivars. 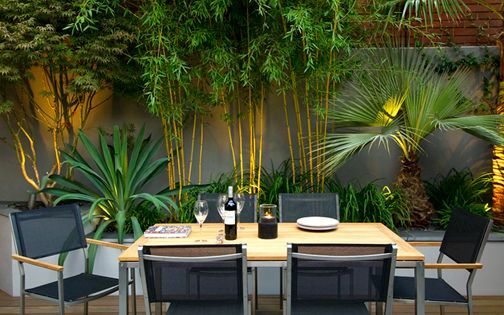 Garden design is one of the most heterogeneous of all arts, and its outdoor trends, when articulated with style and substance in just the right measures, define subliminal methodologies – ones which aren't necessarily the aggregate of expertise or virtuoso designer whims, but are intriguing facets of charismatic personalities and pure zeitgeist – putting their maverick innovators, whether wittingly or unknowingly, at the cutting edge of the landscape discipline. 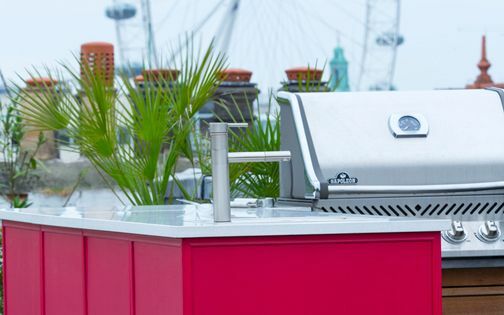 Our lives out of doors certainly wouldn't be the same, for the sake of urbanity's inescapable staleness, without the pivotal pendulum effect delivered by trending interlayers of design freshness and sheer outdoor originality which desirably stimulate modern outdoor living throughout London. 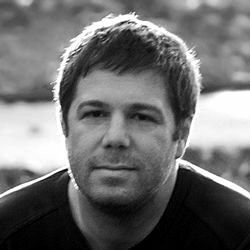 How do we maintain such an elusive premise of design integrity, ephemeral fads and mere functionality? This cosmopolite's trilemma is thoroughly mitigated through fusing multi-sensory, compositional and highly sociable outdoor spaces, heightened by preserving integral frameworks of art, design and architecture, while interlaced alongside multi-use and reduced maintainability aspects. 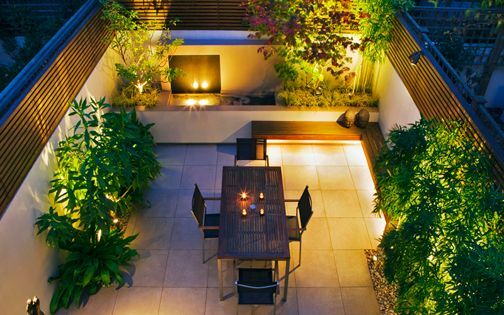 When refined outdoor savviness envelops the result with both expressive style and a pinch of promising trendiness, modern garden living remains a flourishing universal aspiration as an architecturally fundamental inspiration – the basal touchstone of contemporary garden design specialists.